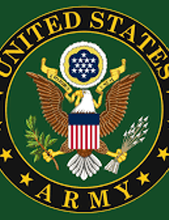 Joseph L. Moy, age 86, passed peacefully on February 4, 2019, at Brightview Assisted Loving in E. Norriton, PA. Joseph was a long time resident of Roxborough, PA. following a BS degree from St. Joseph’s University, he worked as an administrator with the federal government and was an U.S. Army veteran. Surviving are his brother, James Moy and wife, Joan; a sister, Mary Lou Chin; sisters-in-law, Mary Moy and Lillian Moy; and many nieces and nephews. His vrother, Richard Moy, passed shortly after Joseph. He was also preceded in death by brothers, Dr. Thomas Moy and Francis Moy; brother-in-law, Harry Chin and sister-in-law, Penelope Moy. The family invites relatives and friends to a Memorial Mass on Saturday, February 16, 2019 at 3:00 pm at Holy Redeemer Catholic Church, 915 Vine Street, Philadephia, PA 19107. In lieu of flowers, contributions in his name may be made to Holy Redeemer Catholic Church. To send flowers or a remembrance gift to the family of Joseph L. Moy, please visit our Tribute Store. "Email Address" would like to share the life celebration of Joseph L. Moy. Click on the "link" to go to share a favorite memory or leave a condolence message for the family.